In the context of a multicultural society, such as Malaysia, the history of the education system has witnessed various phases of development to meet the growing demands for education opportunities. Likewise, in meeting the needs of various ethnic groups in Malaysia, vernacular schools at primary and secondary levels were introduced based on the different races that comprised the society. Driven by the fact that education system is an important agent in the transmission of culture, the role of schools is often associated to nation building. As such, the culture of education in the landscape of vernacular schools in Malaysia is deemed crucial in creating values, norms, and beliefs of the various societies as well as individual learners. 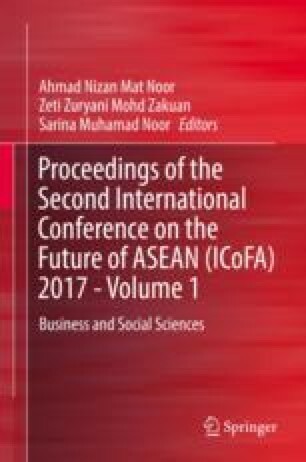 This research aims to analyze the forces of intercultural communication toward national unity in Malaysian vernacular schools. Hence, three objectives were set forth, that is, (i) to identify the forces of intercultural communication adopted in vernacular schools in Malaysia, (ii) to determine issues related to intercultural communication faced by vernacular schools, and (iii) to develop a theoretical framework to support the case under study. This research adopts phenomenological epistemology through quantitative research design, whereby data were gathered via in-depth interview. The forces of intercultural communication toward national unity in Malaysian vernacular schools were revealed in the summation of four themes. It was evident that perceived cultural differences in a particular ethnic group in vernacular schools have challenged the attempts to engage in a positive intercultural contact with other races outside the vernacular culture. Additionally, as a result of historical forces and ethnocentric bias, cultural tension raised the perception of being segregated, leading to anxiety affecting unity in society. Aneas, M. A., & Sandin, M. P. (2009). Intercultural and cross-cultural communication research: Some reflections about culture and qualitative methods. Forum: Qualitative Social Research Sozialforschung, 10(1). Art. 51. Retrieved 12 March 2011, from http://www.qualitative-research.net/index.php/fqs/article/view/1251/2739.